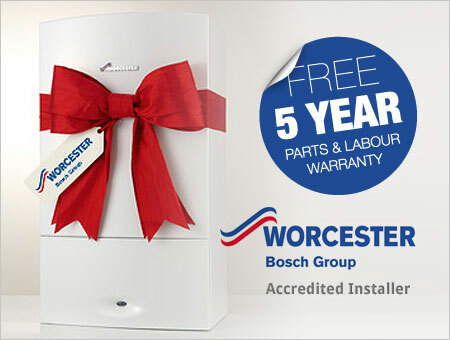 At Three Counties we are an Approved Installer of Worcester Bosch boilers. This means we can offer you warranties that other companies can’t. By choosing us you will benefit from an exclusive 7 year parts and labour warranty. 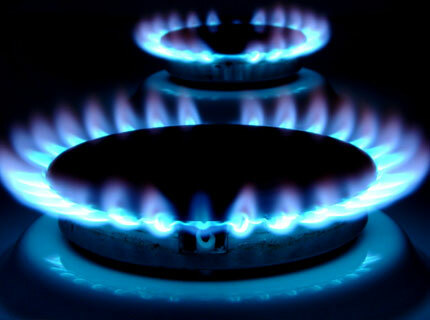 Annual gas safety inspections are required by law for all rented properties and we are certified to carry these out and issue gas safety certificates. We can also service your boiler at the same time if required. Price from £50 + VAT. Having your boiler serviced annually is just as important as your car’s MOT. Infrequent or lack of servicing means that your boiler is more likely to suffer a breakdown, resulting in inconvenient and sometimes costly repairs. We are your local Worcester Bosch Gold installer. Click on new boiler installation page to see how this benefits you. 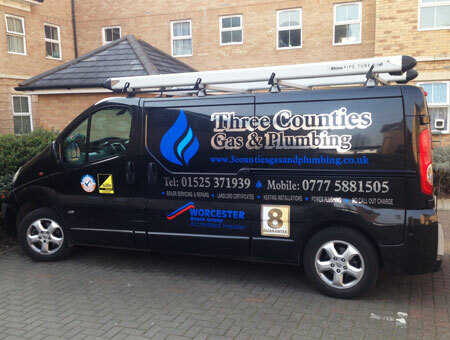 Based in Leighton Buzzard, we are a family business specialising in Gas boiler installation, boiler servicing, heating repairs, plumbing and power flushing. We serve the three Counties of Bedfordshire, Hertfordshire, and Buckinghamshire. We offer a professional and competitively priced service from Gas Safe registered engineers, with NO CALL OUT CHARGE. Our engineers are British Gas trained with City & Guilds qualifications. We have full public liability insurance and have 19 Years experience in the industry.